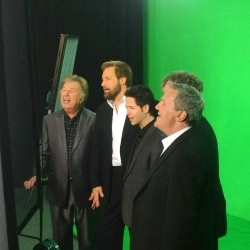 (APRIL 2013) The Gaither Vocal Band sings an amazing version of the U.S. national anthem, as captured on Mark Lowry's SocialCam. 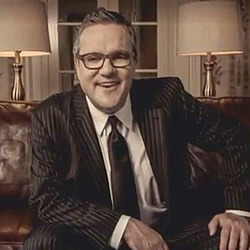 (APRIL 2013) A collection of SocialCam videos from Homecoming artists including Mark Lowry, Jonathan Martin, EHSS's Doug Anderson and more! 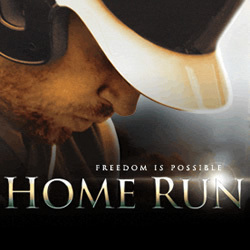 (APRIL 2013) A compelling drama about transformation and redemption, "Home Run" debuts in theaters April 19, 2013. 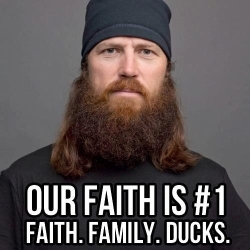 (MARCH 2013) Jase Robertson, one of the stars in the runaway hit reality show "Duck Dynasty," is a strong believer in Jesus and a family man. 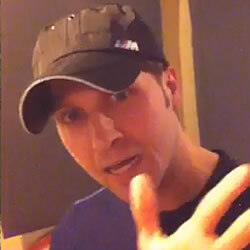 Here, he talks about his faith. 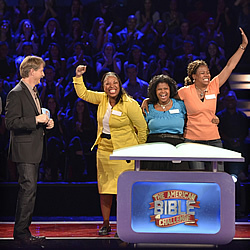 (MARCH 2013) "The American Bible Challenge" quiz show, hosted by Jeff Foxworthy, announces exciting changes as it heads into its second season. 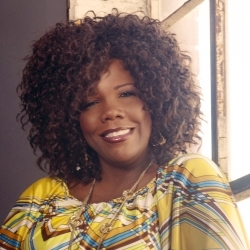 (MARCH 2013) Gaither Homecoming friend Lynda Randle answers five random questions for Homecoming Magazine. 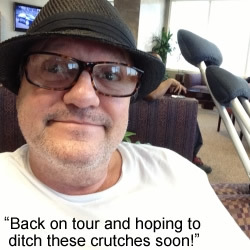 (FEBRUARY 2013) After several weeks of recovery following a broken femur, Gaither Vocal Band member Mark Lowry rejoins the 2013 Gaither Vocal Band tour. 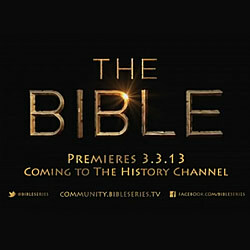 (FEBRUARY 2013) Produced by "Touched By An Angel" star Roma Downey and her husband, super-producer Mark Burnett ("Survivor," "The Voice," "The Apprentice"), the Bible comes to stunning life with their 10-hour miniseries "The Bible," airing in March 2013 on the History Channel. 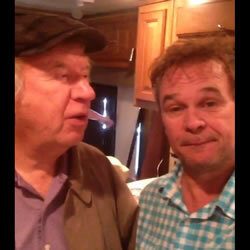 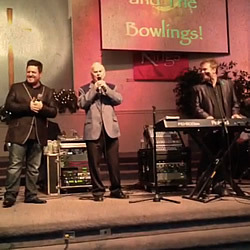 (FEBRUARY 2013) Gaither Homecoming artists Mark Lowry, Jeff Hawes, Jeff Easter and the Martins all show up in this fun group of SocialCam videos! 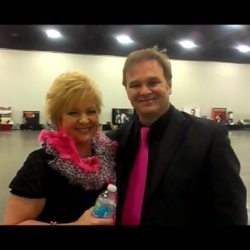 (FEBRUARY 2013) Jeff and Sheri Easter answer five questions for Homecoming Magazine. 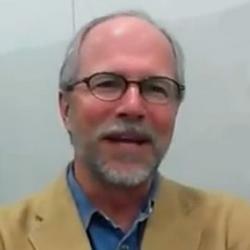 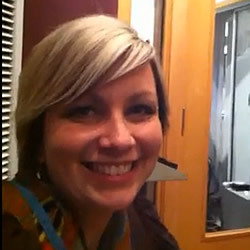 Your favorite Homecoming artists give a peek into their daily lives through SocialCam videos: Ivan Parker clowns around during a soundcheck; Mark Lowry gives an update on his healing process; Ben Isaacs enjoys watching his nephew Ayden feed himself and Sonya Isaacs takes us into the studio. 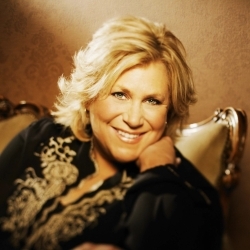 (FEBRUARY 2013) Sandi Patty goes on a mission trip to Sierra Leone with the Water4 Foundation, to help at-risk and impoverished areas dig wells and learn drilling methods so they can enjoy clean water. 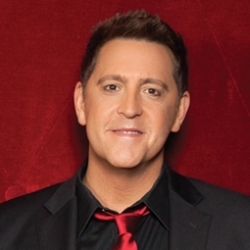 (FEBRUARY 2013) Homecoming Magazine catches up with former Cathedral member and frontman for Signature Sound, Ernie Haase! 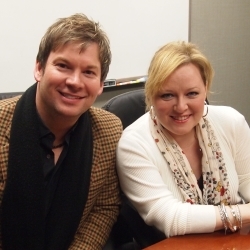 We find out his favorite song to perform, his childhood aspiration and more! 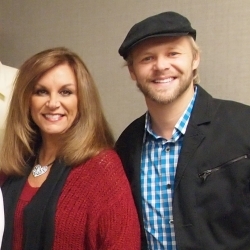 (JANUARY 2013) Homecoming catches up with Mark Burnett and Roma Downey to talk about their new epic miniseries, "The Bible." 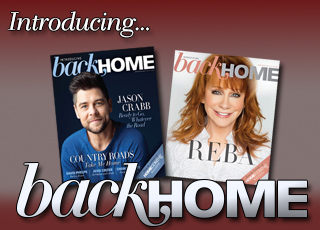 (JANUARY 2013) Gaither Homecoming tour regular Kevin Williams answers five questions for Homecoming Magazine, chatting about his favorite (and least favorite) school subjects, his favorite snack and what he loves most about his job. 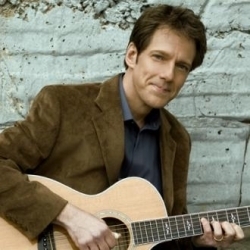 (DECEMBER 2012) Homecoming tour favorite Buddy Greene chats about his favorite moments from 2012, his childhood aspiration, favorite junk food and more!